The cover of this book was designed by Vernon Fitch, with thematic assistance from co-author Richard Mahon. 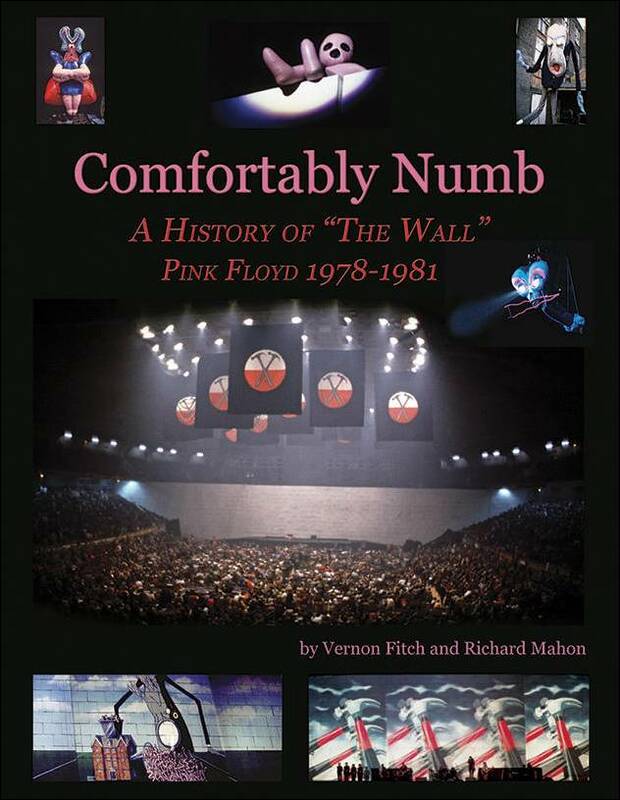 The centerpiece of the cover is The Wall, as seen in a photograph taken by concert stage designer Mark Fisher at a Wall concert in Dortmund, West Germany in 1981. The Wall stretches across the width of the auditorium, as crossed-hammer banners hang from the rafters, and the audience looks on in wonder. At the top of the cover, above the title, is the central character in the Wall story. Pink is shown sitting atop The Wall, with vacant eyes staring down at the audience below. On either side of Pink are two of the Wall characters that play significant roles in the story, namely the Mother and the Schoolteacher. Both of these characters caused Pink to add bricks to his Wall, as did the Wife, who hovers below the Schoolteacher, her eyes glaring menacingly at The Wall. At the bottom of the cover are two pictures of artist Gerald Scarfe’s animation, as projected on The Wall during one of the concerts. On the left, the Schoolteacher processes his pupils through a meat grinder schoolhouse, while on the right, hammers march across The Wall in formation as the band plays on. These scenes not only were important elements in the Wall story, but they also proved to be among the most spectacular moments during The Wall live performances.